Coral Expeditions is a leading Australian cruise company offering Kimberley cruises from Darwin to Broome and Broome to Darwin. Coral Expeditions pioneered the concept of small ship expedition cruises and provides guests aboard the ship just the right mix of comfort and adventure along with unforgettable locations and scenery. The Kimberley region takes its evocative name from its most imposing landmark and ancient mountain range visible from the rugged sea coast. Covering more than 400 square kilometres in North West Australia it is a place universally acknowledged as the world's last and possible most beautiful wilderness. It is a place of magnificent vistas created by towering rock ridges, silent secluded gorges, wide savannah plains and waterfalls which defy nature. 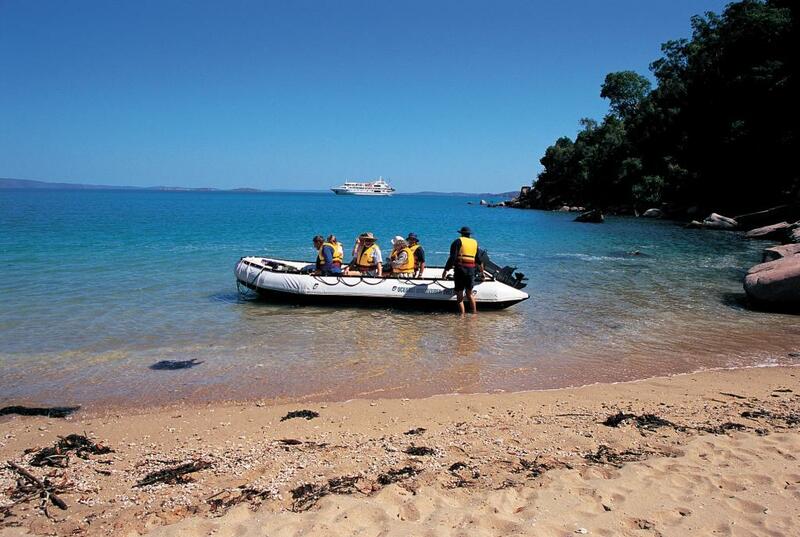 Passengers aboard this Coral Expeditions cruise also discover Broome, the capital of the Kimberley that was once the pearling capital of the world as well as a chance to visit the heartland of Australia's northernmost unspoilt outback. From 2020 the vessel will change to Coral Adventurer. Select from five cabin types, all spacious and elegantly appointed. The choice of accommodation on board the Coral Adventurer includes Cabins, Staterooms and Suites. Coral Deck: Size is 17 sqm (182 sqft). Bedding is 1 Junior King Bed or 2 Single Beds. Maximum room capacity is 2 Adults. Promenade Deck: Size is 17 sqm (182 sqft). Bedding is 1 Junior King Bed or 2 Single Beds. Maximum room capacity is 2 Adults. Explorer Deck: Size is 21.4 sqm (230 sqft). Bedding is 1 Junior King Bed or 2 Single Beds. Maximum room capacity is 2 Adults. Bridge Deck Stateroom: Size is 21.4 sqm (230 sqft). Bedding is 1 Junior King Bed or 2 Single Beds. Maximum room capacity is 2 Adults. Bridge Deck Suite: Size is 55.8 sqm (593 sqft). Features a bathtub in the ensuite. Bedding is 1 King Bed. Maximum room capacity is 2 Adults. 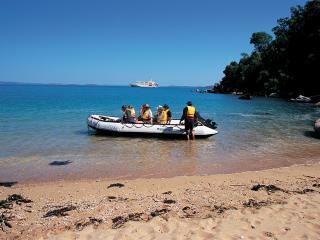 Day 1: Board Coral Expeditions I at 4.30pm for a 6.00pm departure from Broome. This evening meet your fellow travellers and friendly crew at the Captain's Welcome Cocktails. Enjoy a sumptuous dinner and stunning views as you cruise north towards Cape Leveque. Day 2: Cruise through Pender Bay and, subject to weather and tides, visit the Lacepede Islands, a series of low islands consisting of coarse sand and coral rubble lying atop a platform reef. This nature reserve has been identified by BirdLife International as an Important Bird Area as it supports up to 18,000 breeding pairs of Brown Boobies and Roseate Terns, possibly the largest such population in the world. Board the zodiacs and explore the island's lagoon, keeping an eye out for many species of marine bird life including Australian Pelicans, frigate birds, egrets, gulls and terns. The islands are also renowned as Western Australia's most significant breeding grounds for the Green Turtle, often seen nesting on the islands. This afternoon, join the Expedition Staff in the Lounge for an interesting introduction to the Kimberley. Day 3: This morning travel ashore to Hidden Island for a walk on the fine white sands of Silica Beach. Then, cruise through the Buccaneer Archipelago, home to over 800 islands. In Talbot Bay, the region's 12 metre tides create an amazing spectacle, the unique Horizontal Falls, described by legendary naturalist Sir David Attenborough as "one the greatest natural wonders in the world". Board the zodiacs for an exhilarating ride through the falls. Day 5: Cruise through scenic Doubtful Bay before savouring a truly unforgettable moment as Montgomery Reef 'rises' out of the ocean as the tide ebbs. Join the Expedition Staff aboard the Explorer and zodiacs to experience this natural phenomenon up close and discover the reef's diverse marine life including turtles, manta rays and reef sharks. Day 6: Cruise the mighty Prince Regent River aboard Explorer to breathtaking King Cascades, an unusual and picturesque waterfall cascading over terraced rock formations. Enjoy refreshments at beautiful Camp Creek, where there is time for a leisurely swim in the fresh water pools. Day 8: After anchoring in Winyalken Bay, travel ashore aboard Explorer to explore the maze of natural sandstone caves known as Hathaway's Hideaway. Later, helicopters are available for optional scenic flights over the Mitchell Plateau for close up views of the mighty four-tiered Mitchell Falls (additional expense). This evening, enjoy a spectacular Indian Ocean sunset as you indulge in a gourmet Aussie Beach BBQ. Day 10: Visit Tranquil Bay for beach walking and exploration. Later, discover the last of the Kimberley's 'big' rivers, the mighty King George. Aboard Explorer, the specially designed excursion vessel, you'll explore scenic gorges, and in the inflatable zodiacs you'll cruise close to the base of magnificent King George Falls, the tallest waterfalls in Western Australia towering some 80 metres above the river below. Day 11: Expedition concludes in Darwin at 8.00am. Coral Expeditions I is custom-made vessel and is 35 metres in length and carries just 46 passengers. Expeditions: The "Xplorer" is a specially designed aluminium excursion vessel used for the majority of the excursions. This vessel has high horsepower engines and will accommodate all passengers at one time. The "Xplorer" is used for landings and for extensive exploration of rivers and tributaries. For your added convenience and comfort, the "Xplorer" is equipped with an awning and toilet. Coral Adventurer caters for 120 passengers in 60 staterooms, with 32 of them having balconies. Facilities: Large sundeck with bar and BBQ area cabana lounges and exercise equipment, Wireless satellite internet broadband access (additional cost applies), Reference library for guest use, Phone and fax facilities (additional cost applies), Lecture lounge with large plasma screen, Limited laundry facilities, 3 fully stocked cocktail bars, Gift shop, Elevator, Air-conditioned public areas. The Coral Adventurer also carries three inflatable landing craft (Zodiacs). Designed for expedition work, these large and heavy-duty inflatables are extremely safe. Separate air compartments retain a large reserve of buoyancy even if the boat is damaged. The flat bottom design permits these crafts to land directly onto the beaches. Expect none-the-less to wade through shallow water to reach the shore.